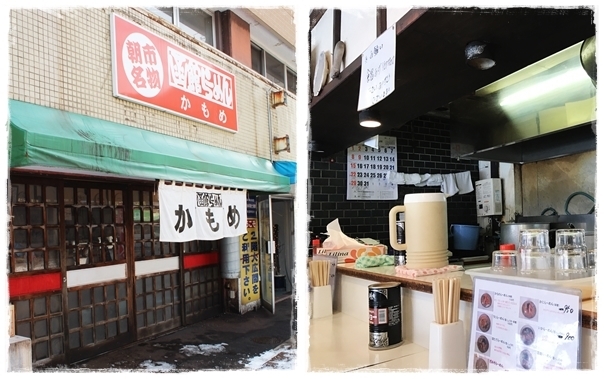 Right across the street from the Hakodate Morning Market, we located this tiny local ramen place – Hakodate Ramen Kamome. The shop front had traditional Japanese sliding doors and is single-handedly manned by the owner whose kitchen is right behind the 8-counter seats in the shop. Shortly after we entered the tiny space, a group of 6 Japanese elderly came in and it was full house. Menu are in Japanese but ordering was a breeze with the photos indicating the items. Our target was easy to identify – Seafood Ramen available in Miso soup base ¥1150 (S$14). The luxurious seafood ramen (kamome ramen) broth is lighter than the usual rich soup base and included lots of seafood such as crabs, sea urchin, squid, scallops and shrimps. Other than the uni which was a bit crumbly, the other ingredients were very fresh. The lighter soup base meant that we could taste the sweetness and freshness of the seafood used. Inside the cosy shop, I noticed posters of a popular rock band in Japan – GLAY, which was formed in Hakodate. Apparently this is one of the member’s favourite place to enjoy a bowl of delicious hometown ramen. I certainly enjoyed the experience of dining in such an authentic Japanese joint compared to those that are ‘highly promoted’ in guidebooks and packed with tourists. 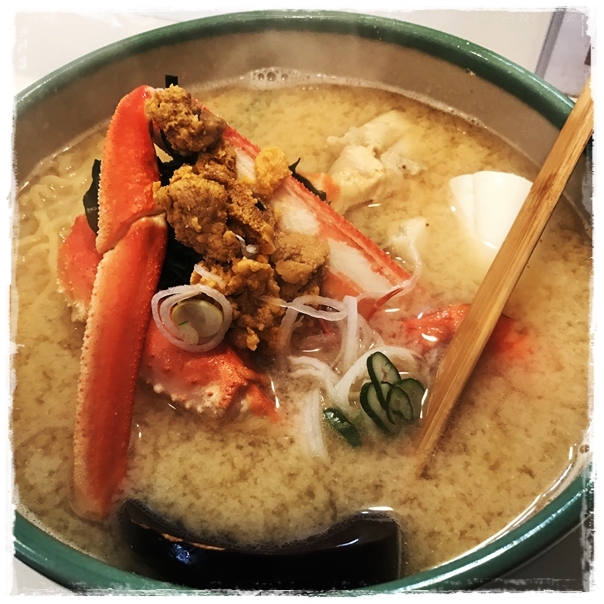 This entry was posted in Casual, Japan, Japanese and tagged かもめ, Hakodate, Hakodate Morning Market, Hakodate Ramen Kamome, Hokkaido, Japan, Seafood Ramen. Bookmark the permalink.